You can use a PingBooster to protect yourself while exploring. It will hide your IP address and use encryption to protect your connect no matter where you want to Play World of Tanks. 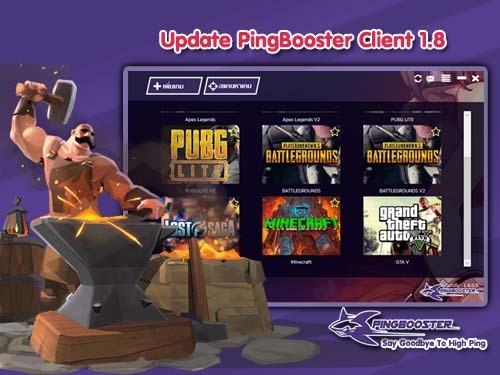 For the safest, fastest way to play World of Tanks, get PingBooster now. Some countries don’t allow or have normal access to World of Tanks. Others don’t want you communicating with the outside world, which World of Tanks. blocks on the game. Select game "World of Tanks"
World of Tanks game is growing in popularity, but hackers want to take your account. You also might run into governments and organizations that want to block you. It will encrypt your connection and reroute your traffic through a server wherever you wish, bypassing restrictions. Anyone hoping to steal your World of Tanks account won’t be able to. Play World of Tanks on restricted networks by using a PingBooster. In this review, we'll show you how to unblock sites and the best VPN for World of Tanks.